A determined Jeff Tigert *Photo Attributions Randel’s Media, Jeff Tigert 2015. 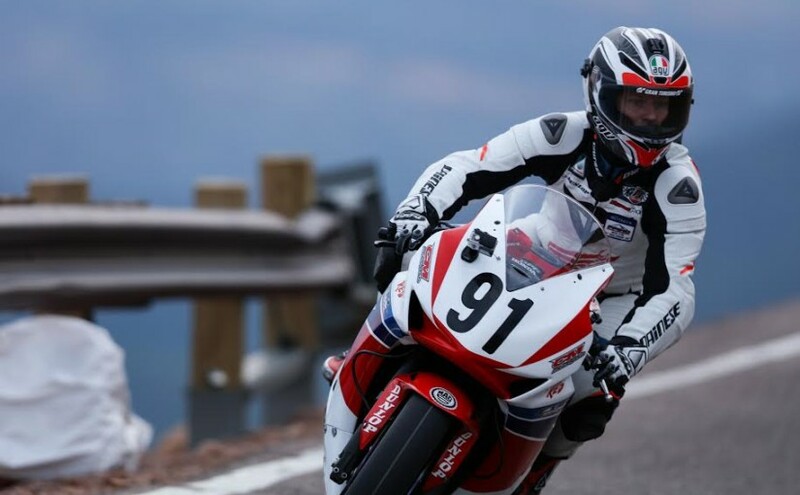 Last summer while attending the “Honda Dream Garage” event in San Diego , California, I was afforded the opportunity to not only ride with one of the highest regarded racers in motorcycles today, but a true advocate of the sport. Jeff Tigert is just a guy, pretty much like you and me, with the exception of a national , international race win trophy or two on the shelf — Jeff lives and breathes 2-wheels. Motorcycles, and the racing of them, is Jeff’s life-time passion. He’s also a proud husband , father. and lifetime motorcycle enthusiasts, with perhaps one of if not the coolest jobs on the planet. Jeff currently serves as off-road media coordinator for American Honda, specific to the off road play and work department, quads, side by sides, and the occasional African Twin or two. From where we sit, Jeff Tigert is as much at home ridding a 50 cc Honda Grom as he is on the seat of a factory race prepared Pikes Peak International Hill Climb assault bike. That’s what’s truly cool about Jeff, he leaves his well earned ego at home — remaining truly approachable and subsequently likable, despite a decades-long road race winning track record. 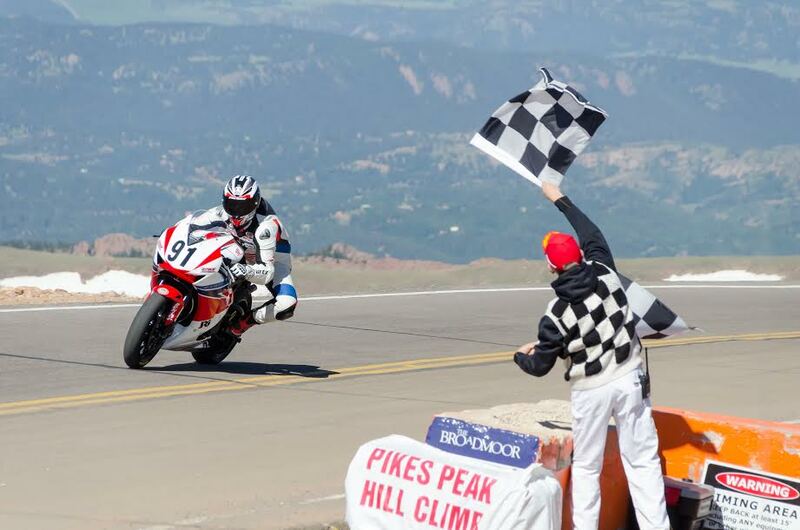 Unfortunately, following 2015’s tragic crash related death of Pikes Peak veteran Carl Sorensen, the rules have changed as to what motorcycle frame set up will be allowed to race the hill in the future. “Clip-on” handlebars are outlawed in a quest for greater road control, racers like Jeff have kept relatively quiet as to the change in rules, with a wink and a nod as to this seemingly nonsensical ruling. Jeff: We start by removing all of the street based parts off the bike, such as the lights, mirrors, plastic fairings, and then replace the parts with racing fiberglass bodywork which costs about $1,000 for a complete body set. Next step, we replace the front suspension internal parts, as well as replace the rear shock with a more adjustable race shock. That modification costs about $3,500 including labor to install. To increase engine performance and reduce weight, the stock exhaust is replaced with a titanium race exhaust, which costs about $2,500 and loses 10 lbs. For 2015, we opted to keep the engine stock for both reliability and ease of riding — as too much power becomes hard to ride. For fuel we run a special race gas, it increases horsepower about 5% but costs $25/gallon. To make the fuel and exhaust work the best together, a fuel injection/ignition tuner is added, which allows us to change fuel mapping and ignition timing at different RPM and Throttle positions. Cost is $1,000 which includes both parts and labor, and spending time on the dyno to make that custom map. Jeff: It requires a huge effort to make this event happen. I had 3 crew members dedicated for me, to help eliminate any additional work on my end — and allow me to focus only on the race. Having experience there is critical. 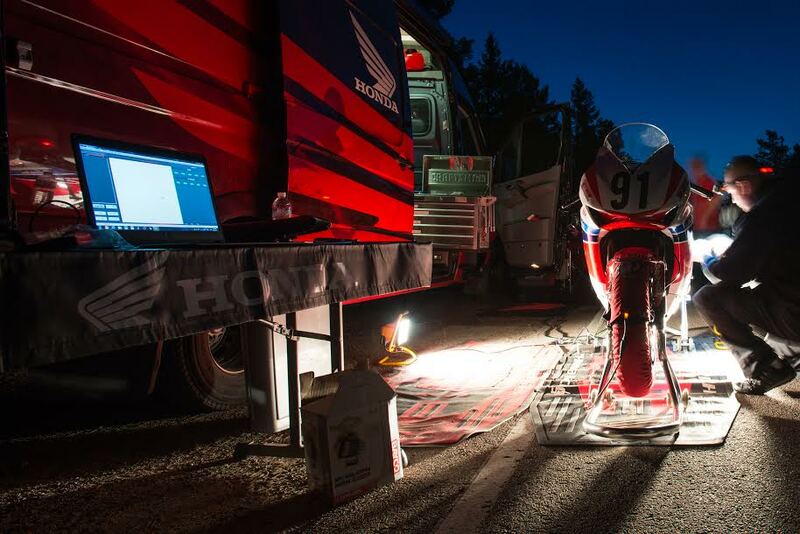 The first year I ran in 2013, we had consulted one of the top motorcycle teams to help get us up to speed with all the unique aspects that come with racing up the mountain. 24/7 preparation for the hill. Parks: Is the motorcycle / motor rebuilt over the course of the event? Do you carry back up motors, is a competitor allowed more than one(backup) machine? Jeff: The motor for this event was left completely stock internally; this was our direction to make sure we had an easy, reliable bike to ride. I didn’t even carry a backup motor with us. You are only allowed to tech one machine, so you can’t just roll a second bike out. It’s basically a parts backup. Parks: You mentioned a 10 day involvement. Talk a bit about the impact on the family, wife, etc. 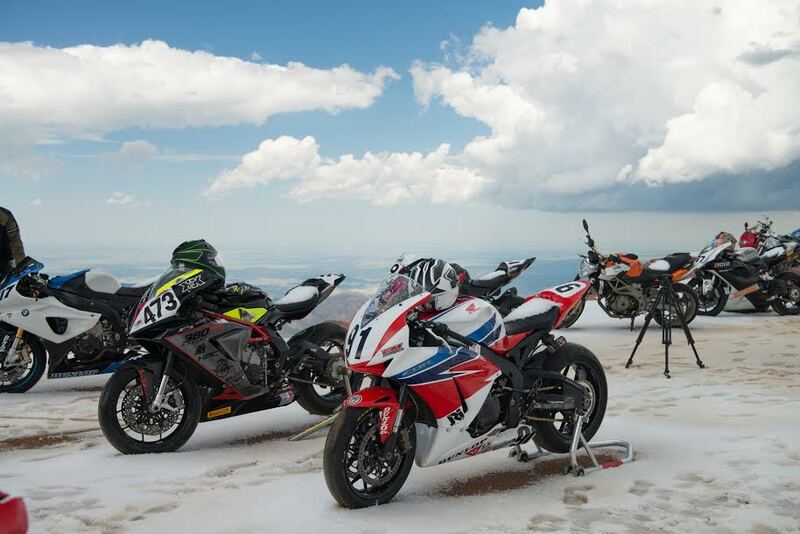 We touched on the delicate balancing act between family and racing priorities, Pikes Peak is not easy, with or without the support of a partner, wife or girlfriend. Jeff: Another unique aspect is the length of time you have to spend at the race. Even worse for me, was that I was driving solo to and from the event which added a few days to the trip. This was especially hard for me with the family at home including my 13 month old, who still requires overnight wake ups and feedings. I was fortunate to have my mom come down and stay to help my wife with the kids while I was gone. Parks: How did your father’s racing carrier impact you as a young adult, did you always want to race? Would you like to see your own children involved in racing? Parks: Is your dad or other family members involved in the hill climb effort? Jeff: Besides the bike preparation from my dad which started months in advance and a bit of babysitting help from mom, they have not been directly tied to the race. I ended up winning the class with a new class record, and received rookie of the year for motorcycles. Going back to my roots in road racing, my first race was in 1999 with the AFM at Sears Point in Sonoma. I only did 4 races that year, 2000 was my first full season, and I raced the lightweight twins class on an SV650. I won the championship that year, and focused on moving to AFM 600 classes for 2001. The next 2 years I raced 600’s taking 3 championships over both years, which lead to my first year on 1000’s in 2003. I won 2 more championships that year, including the coveted AFM #1 plate for 2004. I was also in my second year at Honda R&D for testing and developing the CBR line-up, and this was definitely a turning point in my life, as I realized how important this job would be for my future. For the next few years I dabbled in regional racing and even tried to put a full year of AMA Pro effort in 2006 — I ended up missing a few races for work that year though, which hurt my chances at a top ten championship finish. 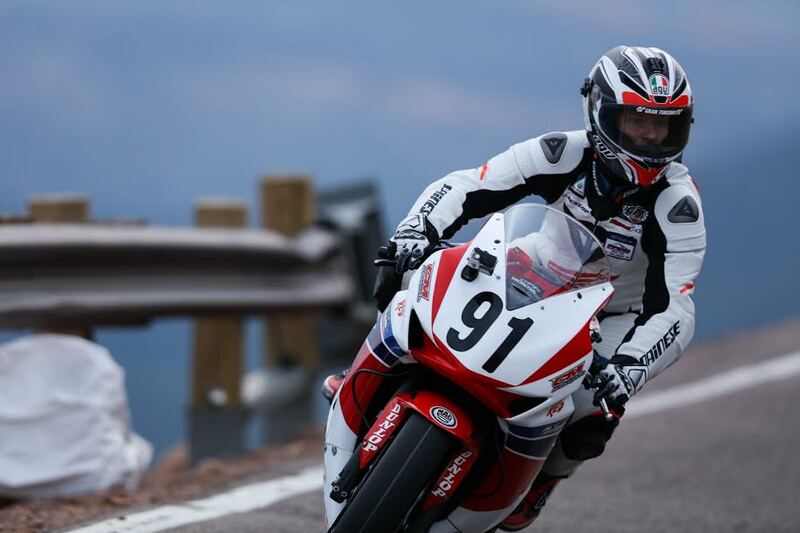 Honda launched a new CBR1000RR for 2008 model year, and in 2009 I decided to race the entire WSMC (Willow Springs Motorcycle Club) and go after the #1 plate. We wrapped up that year with 3 more championships, the #1 plate, and the championship bonus was a Toyota Tundra Crew Max. To top that #1 plate off, in 2010 I returned to AFM and won my second #1 plate with that organization. Having good friends has been great over the years as I had a ride opportunity in 2012 to race for my crew chief’s shop. In my comeback year, I won 3 more regional championships. with CVMA (Chuckwalla Valley Motorcycle Association), and we decided to run the West Coast AMA Supersport Nationals the following year in 2013. This was by far my most successful season, as I was able to get my first AMA Pro podium as well as wrap up 2nd in the championship that year. My only race this year turned out great, as I was able to wrap up that win. 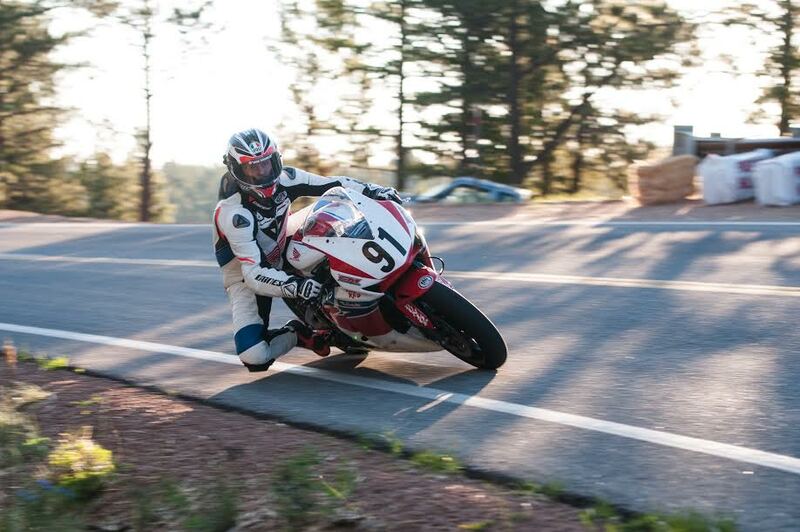 If I could, I would still be out there road racing, as it is my main preference, if I was to ride. But, without a road bike at the moment for that, I have been looking to just ride some dirt bikes at the tracks here locally. My thanks to Jeff Tigert for granting me this interview, as well as his life-time dedication to the sport. Wishing you continued success, happiness and safe riding my friend.